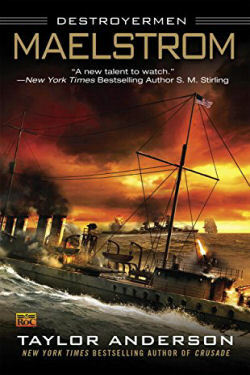 The Destroyermen is a series of alternate history books recounting the adventures of the crews of the destroyer USS Walker (DD-163) and the Japanese battlecruiser Amagi at the onset of the World War II in the Pacific when they are transported to an alternate Earth. This Earth is similar geographically as the one they left but evolution took a different turn ages ago. Familiar landmarks appear, but the water teems with vicious, monstrous fish-and there appear to be dinosaurs grazing onshore. Matt and his crew have entered an alternate world...and they are not alone. Humans have not evolved, but two other species have. And they are at war. 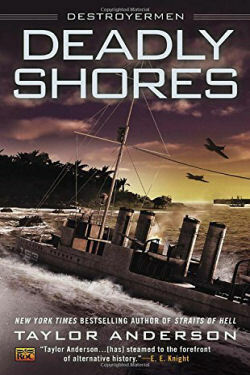 After a terrible battle against the Grik, Lieutenant Commander Matthew Reddy must contend with the arrival of a ship captained by Commodore Jenks of the New Britain Imperial Navy-an island-nation populated by the descendants of British East Indiamen swept through the rift centuries before. But the British bring a new and different kind of threat along with them. Lieutenant Commanders Matthew Reddy of USS Walker has found an unlikely ally in Commodore Jenks of the New Britain Imperial Navy. 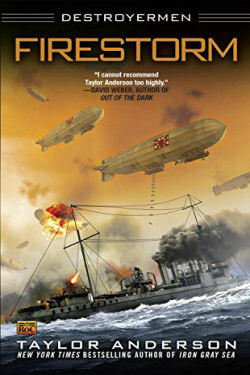 Now they are searching for a traitor who abducted nurse Sandra Ticker and young Princess Rebecca of the New British Empire. It is soon obvious that the New Britain Company is attempting to overthrow the throne. And Reddy must navigate through a tempest of politics, deception, and betrayal if he is ever going to save the hostages and live to fight another day. 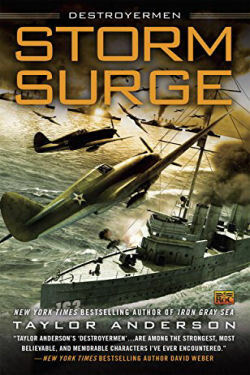 Designated Supreme Commander of the Allied Forces, Matt Reddy must now contend with a new threat; the Dominion-humans whose lust for power matches the Grik. 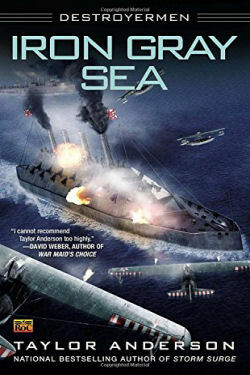 But even though the Grand Alliance recognizes the danger of the Dominion, it must deal with the land-based Grik first, leaving the Imperial navy-and USS Walker-with little assistance. 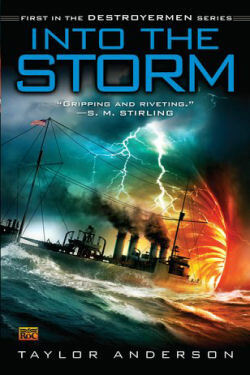 As war rages, more Japanese ships come through the time-space maelstrom that the Americans call The Squall. 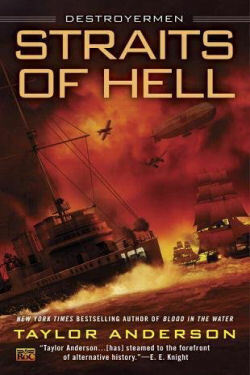 One is a "Hell Ship," carrying prisoners of an Imperial Japan that is growing ever more ruthless in the face of looming defeat. Escorting it is a new, state-of-the-art destroyer, whose officers recognize no rules of war. 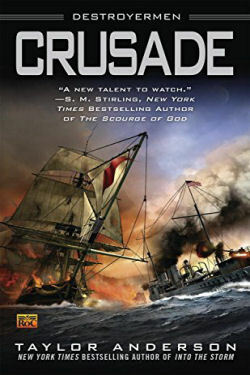 Fighting on two fronts, Reddy is plunged into a firestorm of loyalty, betrayal, and sacrifice. But nothing can prepare him for a devastating new Grik weapon-a weapon that could wipe out all who oppose them. 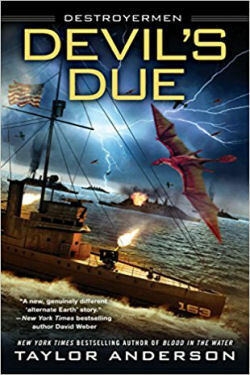 War has engulfed the other earth, the parallel universe that Lt Commander Matt Reddy and the crew of the USS Walker now call home. With every hard-won victory and painful defeat, Reddy and the Allies encounter more friends-and even more diabolical enemies. 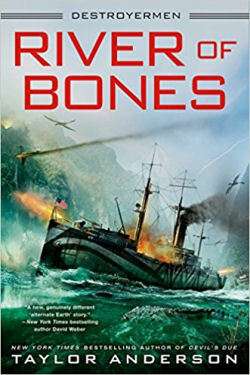 But time is running out for the Alliance army in Indiaa, and the Allied forces in the west must gather in an unprecedented land, air, and sea campaign to destroy the mighty Grik battle fleet and break through to their relief. All other plans go on hold when the attempt proves more difficult-and more heartbreakingly costly-than anyone imagined. The ambitious, long-planned raid on the Grik Empire has grown dangerously ill defined. 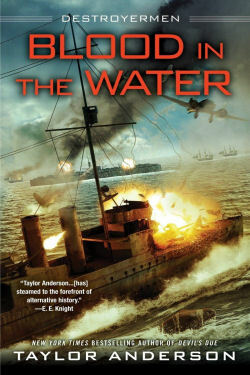 Only Matthew Reddy, commander of the old destroyer USS Walker, seems focused on the original intent. While many Lemurians see an opportunity to reconquer their stolen homeland, others-Lemurian and human-have their own agendas, which could compromise the Alliance. Complicating matters further is Reddy's suspicion that his task force is being stalked by some unknown power bent on aiding the Grik for reasons of its own. As the raid begins and chaos reigns, Reddy has no choice but to risk everything in a desperate act that results in a sprawling, nightmare battle on the beaches of "Grik City," on the very decks of Walker, and in the labyrinthine passageways of the Celestial Palace itself. The final cost could be more than Matt Reddy-or the Alliance-can bear. 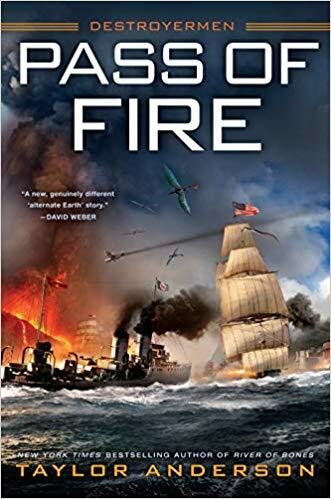 Transported to an alternate version of earth where WWII no longer rages, Matt Reddy and the crew of the Asiatic Fleet destroyer USS Walker have been trying to find their place in a strange new world-only to now face a game-changing conspiracy. Reddy and his crew fight alongside the felinoid Lemurians and Imperial allies to keep the reptilian Grik, a race growing in supremacy, from reconquering the Lemurians' ancestral home on Madagascar. But exhausted, far from reinforcements, and wildly outnumbered, the odds seem greater than ever before. As the war teeters on a knife-edge, a tipping point may have been reached at last-and cold steel and hot-blooded valor will remain the ultimate weapons. Reddy and his crew have given their all to protect the oppressed Lemurians. But with Walker in desperate need of repairs just as the Grik's First General is poised to strike, Reddy is desperate. 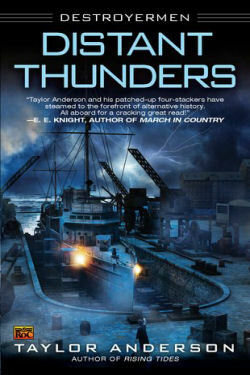 With more enemies than ever before arrayed against them, the crew of Walker needs new allies. That means combing the lethal wilds of Madagascar to find the Lemurians' fabled ancestors, as well as the enigmatic dwellers east of the Pass of Fire. 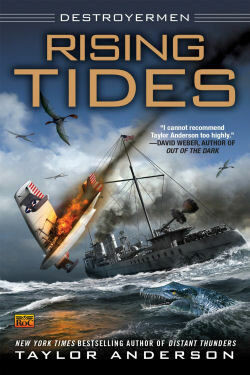 But what Reddy's crew unearths are discoveries so shattering they could tilt the balance of the war in either direction. But Reddy's greatest adversary is from his past: a madman named Kurokawa whose single-minded mission of revenge will shake the Alliance to its core and raise the stakes to the most personal and terrifying levels Reddy has ever faced..